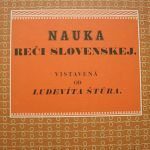 Slovak Romanticism in literature (1830-1860) is associated with the ‘Stúr generation’, which managed to reach Romantic aesthetics mainly during their peak phase. Organisational centres of the Romantic generation were the Evangelical lyceums in Bratislava and subsequently in Levoca (following the arrival of Ludovít Stúr and his supporters in 1844 from Prague to protest against Štúr’s removal from his position as representative of the Ústav reči a literatúry česko-slovenskej (Institute of the Czechoslovak Language and Literature). 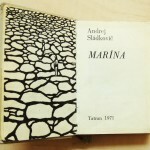 The Romantic generation of Slovak authors frequently used native folk rhetoric in their aesthetics, particularly for some genres (ballads or songs). The proofs of this orientation were the results of a creative process by students at both lyceums, which were published in two almanacs: Bratislava’s almanac Plody (‘Fruits’, 1836) and Levoča‘s almanac Jitřenka (Morning Star, 1840). A qualitative breakthrough in the artistic work of this generation came with the decision of its leaders (Ludovít Stúr, Jozef Miloslav Hurban and Michal Miloslav Hodža) in 1843 to use a new standard language based on Central Slovak dialects. In this language, which has become the common language of Slovaks, they started to publish the Slovenskje národňje novini (Slovak National Newspaper, 1845) with the literary supplement Orol tatránski (Tatra Eagle), the magazine Slovenskje pohladi (Slovak Views, 1846) and the almanac Nitra, which from its second edition in 1844 used a codified standard Slovak. 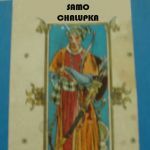 From an artistic point of view we can consider the latter almanac a breakthrough, because one of the protagonists of Slovak Poetic Romanticism, Janko Kráľ, published his poems in it. After the revolutionary years of 1848-1849, Slovak Romanticism divided into two lines. The first was represented by authors of the messianic orientation (Samo Bohdan Hroboň, Michal Miloslav Hodža and Joseph Podhradský), while the second included authors of the ‘pragmatic orientation’ (this was the rest of the Romantic generation who supported the pragmatic national programme of Ludovít Stúr). These authors tried to adapt the great ideals of Romanticism to the needs of the real national-cultural life. Among the wide range of authors of Slovak literary Romanticism, Janko Král, Samo Chalupka, Andrej Sládkovic and Ján Botto became the most acclaimed representatives of poetry. The predominant literary genre in the Slovak literary Romanticism was poetry that used a syllabic verse system. It was especially in the field of Slovak lyrics that the greatest artistic works were created which have since become part of the national cultural heritage; these include Král‘s ballad Zakliata panna vo Váhu a divný Janko, A Sládkovic’s lyric-reflexive compositions Marína and Detvan, Botto‘s allegorical ballads Žltá ľalia (Yellow Lily) and Margita a Besná and elegiac composition Smrť Jánošíkova (The Death of Jánošík) and S Chalupka‘s elegiac poems with the motif of the national revival (Kráľoholská, Branko, Turčín Poničan).